Vladimir Danilovich Stepanenko, one of the leading Russian scientists in the fields of radar meteorology and cloud physics died 17 March 2010 in St. Petersburg, Russia. He was born in October 1922 in a small Ukrainian village. After graduating from a high school in 1939 he decided to dedicate his career to meteorology and entered the Moscow Hydrometeorological Institute. After World War II broke out, Vladimir was transferred to the Army Hydrometeorological Institute from which he graduated with honors in 1944. 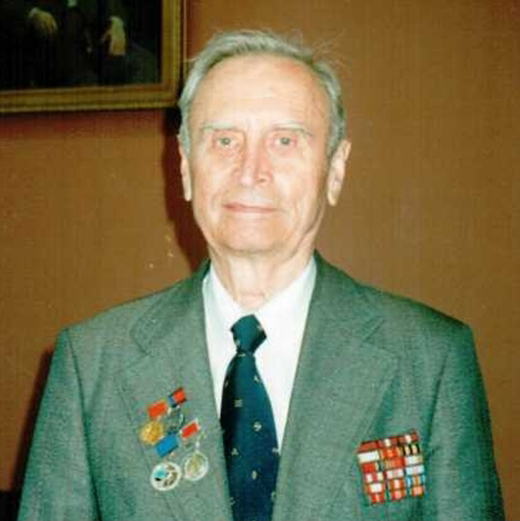 A decorated World War II veteran, he served as a meteorologist in the Soviet Black and Azov Sea Navy in 1944 during the military campaign in the Crimean peninsula. After WWII, Vladimir moved to Leningrad (now St. Petersburg), and worked at the Leningrad Hydrometeorological Institute where he earned his Ph.D. degree. From 1950 to 1973, he was teaching at the Hydrometeorological Department of the Army Corps of Engineers Academy in Leningrad. He became a professor in 1967. During this time, Stepanenko became one of the leading Soviet scientists in radar meteorology and published his book Radar in Meteorology, which soon became the main fundamental textbook in the USSR in this discipline of science. In 1974, Stepanenko retired from his teaching position, and joined the Main Geophysical Observatory (MGO) as a deputy director of science. At this position, he continued his research work and advised many Ph.D. students. 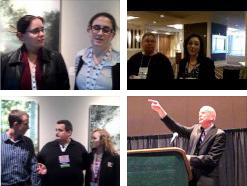 Stepanenko’s contributions to various areas of meteorology and cloud physics are significant. He was particularly interested in applied research. Some of his scientific studies include pioneering research in severe weather phenomena, aircraft icing, weather modification, lidar and microwave remote sensing of clouds and precipitation, and observations of air pollution. For his work in these areas, Stepanenko was awarded a USSR state prize in 1986. He led the meteorological support activities for the Soviet Space Shuttle Program. He continually worked on improving instruments and methods for observations of clouds and precipitation, which resulted in 14 patents in addition to more than 270 scientific publications and 11 books. Although he was heavily engaged in the latter activities, Vladimir loved tennis and often came out first in his age group. Stepanenko was also active in international scientific collaboration. For many years, he chaired the Center for Radar Meteorology, which coordinated operational weather radar observations in the former USSR and several countries of Eastern Europe. He served as a coleader of several international research projects including the Soviet–American Microwave Experiment (SAMEX), which was conducted over the North Pacific in 1978. In the midst of the Cold War, joint experiments like this contributed to a better understanding between Soviet and Western scientists. On his trips to the United States he made a point to visit with his American friends. His friendship with David Atlas blossomed over the years through exchanges of scientific papers and annual greetings. Besides being a brilliant scientist, Stepanenko was a great teacher. He was an adviser to more than 20 Ph.D. students. Many of his former students are now working in various Russian scientific institutions and also in other countries including the United States. He also was a man of fairness and good heart. We are privileged to have worked with him during important periods of our scientific careers. As a scientist who has spent most of my career as a radar meteorologist, I am sorry to say that I was never aware of the work of Dr. Stepanenko. Perhaps this this is indicative of how little the U.S. research community is availing itself of the research being done by our colleagues in the Russian Federation.